This raw vegan cookbook provides 65 recipes for quick, inventive meals that are bursting with vitamins. A raw food diet consists of vegan dishes made without using canned, refined, or chemically processed food, or heating anything above 118°F (48°C). This means that ingredients retain key nutrients that can be otherwise lost during the cooking process. It's also a great way to get more fruit and vegetables into your diet, and, by its nature, is low in trans fats, saturated fats, and preservatives. 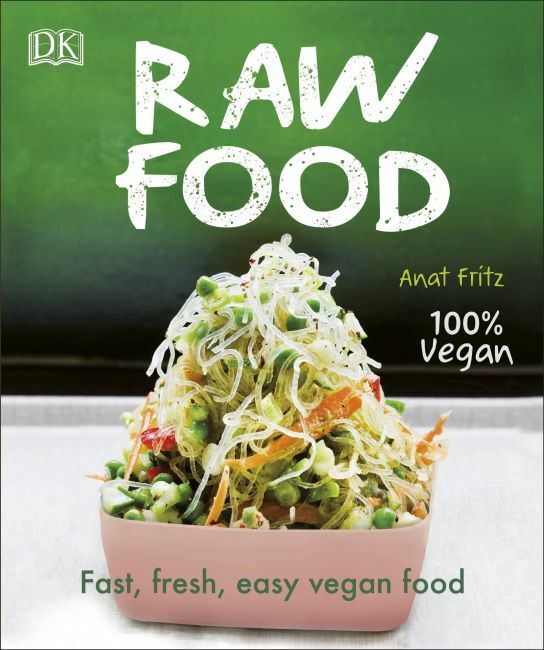 Raw Food is filled with 65 quick, easy recipes for hearty main meals, sumptuous desserts, and irresistible smoothies that use well-known, easily available ingredients in delicious combinations. Recipes are inspired by cuisines from around the world, with everything from the luscious lassi to red pepper pesto, and sweet and sour wild rice to Key lime pie. Preparation techniques are simple, so the recipes can generally be made quickly and without needing expensive or complicated equipment. You don't have to change your whole lifestyle to feel the benefits; just start with a few meals a week. Raw Food provides all the recipes you need to produce healthy, flavorful food--and all without turning on the oven.